A stele of Baal with Thunderbolt found in the ruins of Ugarit. This is NOT the artifact referenced in this lecture. The Board of Directors of the American Research Center in Egypt, Northern California chapter is offering one grant of $500 to a qualified student. The deadline for submission is March 1, 2017 with the grant to be awarded at our March 12th meeting. To qualify for this grant, the applicant must be a student who is enrolled at a Northern California college or university (Monterey to the Oregon border) or who has a home address in this area. Applicants must be pursuing a degree in Egyptology; anthropology, archaeology, art, history, or language focused on ancient Egypt; or Coptic or Arabic studies of any period pertaining to Egypt. Proof of enrollment may be required before the grant is presented. Applicants are to submit 1) a brief summary (250-500 words) describing how they will use the grant and 2) a 1-2 page CV. The grant will be awarded by the Board based on merit. Students may apply by email (Word or PDF file) to ARCENorCal@gmail.com or by mail to Victoria Jensen, President, ARCE-NC, 1709 Encinal Ave., Alameda, CA 94501. 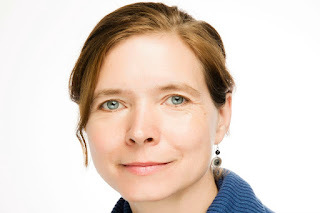 If possible, the winner will be expected to attend the March 12th ARCE meeting at the University of California, Berkeley to accept the grant in person. hard, dark gray-green stone called graywacke. reflect the reception of Egyptian art in the modern era. Book signing to follow lecture. Copies available in the Legion Bookstore. To qualify for this grant, applicants must be a student who is enrolled at a Northern California college or university (Monterey to the Oregon border) or who has a home address in this area. Applicants must be pursuing a degree in Egyptian anthropology, archaeology, art, history, language, or Coptic or Arabic studies in any period. Proof of enrollment may be required before the grant is presented. If possible, the winner will be expected to attend the March 12th ARCE meeting and lecture at the University of California, Berkeley to accept the grant in person. I started with wooden objects this season. Though organic material is generally poorly preserved at Amara West, we have an astonishing amount of wooden remains collected over the years. Almost all of this comes from tombs excavated in the two cemeteries: very little survives from the town. The most interesting objects are the remains of the funerary beds. They seemed to have been very similar to the wooden angareeb beds that are still in use in Sudan today. The frame of the bed consisted of beams around which the stringing of the bed was tightly wrapped: many such pieces have survived and seem to be quite consistent in width and thickness. A few fragments of the actual fibres of the middle part of the bed are preserved as well. All of these are decorated in very similar patterns, mostly with horizontal incised lines that run parallel to each other around the components. 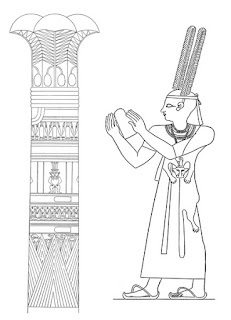 A few objects show more elaborate patterns such as elongated vertical rectangular fields or zig-zag-lines in the style of the Egyptian hieroglyphic waterline. In addition, there are a few preserved remains that may be parts of the footboards of such beds, similar to those known from tombs in Kerma. 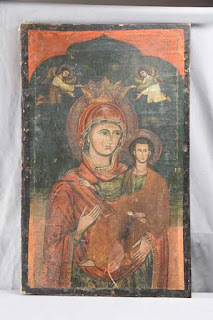 But the famous inlays that were found there have not been found in the Amara West examples. 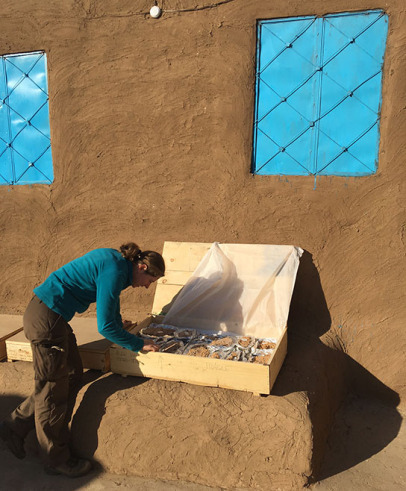 The study of the material has so far lead to the joining together of many more fragments enabling us in the end to determine a minimum number of beds used in the tombs. Due to the carving elements of the legs the thinnest diameter among the elements is often only 2cm per leg which would likely not have been strong enough to carry an adult person. It therefore seems like some of the beds might have been produced only for the burial itself. 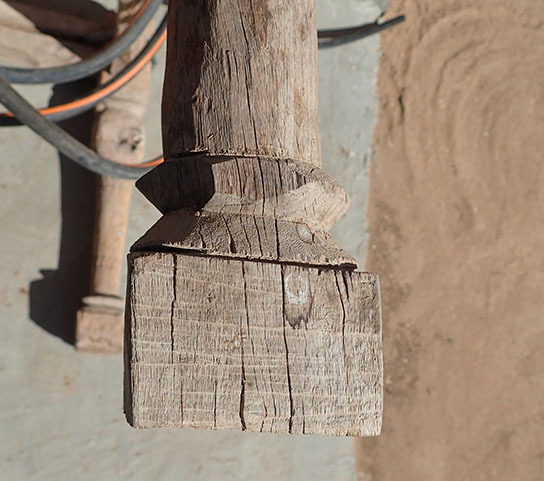 One circular element of a wooden bed leg was found in the town as well, suggesting the use of the same designs for the beds of the living. Parallels from other ancient cemeteries suggests head-rests and the body of the deceased would have been placed on the beds. Some examples of head-rests can be found amongst the wood from the burials at Amara West: the examples studied so far consist of three parts that were assembled. The base is usually rectangular and quite long and flat with a smaller middle part that tapers into a raised oval shape with a recess. Here the middle part would have combined the base with the top part that had the rounded concave surface that supported the head. Often the bases are decorated like the beds with the pattern of incised parallel lines. In this way the bed and head-rest were built as sets, matching in style. Sometimes more elaborated versions can be found with finer line decoration. The body of the deceased was quite often placed into coffins or wrapping that was then put onto the bed. Yet it is not easy to identify which of the surviving wooden fragments belonged to the coffin and which to the bed. The coffin fragments often do not have much of their original plaster and paint preserved, with only a few fragments still bearing traces of vivid colours like red, yellow, Egyptian blue or black. Often perforations for dowels and tenons give indications about the techniques used in the woodwork. Substantial amounts of wooden branches were found that still have their bark on them and therefore were not worked, or at least very little. They are too long to have been used as a dowel and their diameter is too thick. 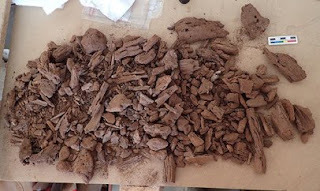 Maybe some of the bodies were wrapped in some sort of matting that was produced with branches and twigs as is sometimes still used in the Sudan for burials of infants. 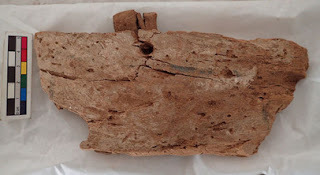 Even with their fragmentary and often badly preserved state, it is clear that there is a lot to be learned from the study of wooden remains. 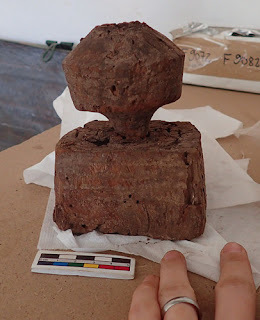 I am looking forward to more exciting discoveries as I sift through all the material and piece together more fragments! 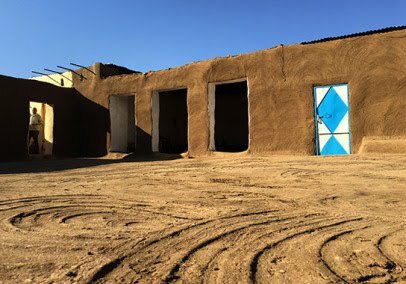 After 9 seasons of daily pre-dawn Nile commutes, the clatter of excavation tools scraping against pottery sherds and the climatic extremes of the site – chilly mornings, howling winds, plagues of nimiti-flies and hot, dry afternoons – this is going to be very different. Our excavation house will be the setting for the whole team. Where once the house was brimming with up to 30 specialists, and deluged daily with pottery, finds, sample bags, skeletons – alongside drawings, digital images and other documentation – it is now a spacious oasis of calm, with only seven of us here to start this study season, alongside our cook Ali Dal. 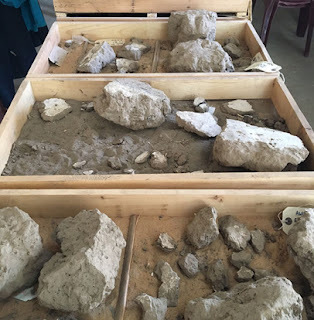 With over 10,000 objects, and many many more pottery sherds, this is our opportunity to lay out similar types of objects, or arrange them in groups depending on which room, house or neighbourhood of the town they were found in. We then consider what needs drawing or photographing. Most crucially we have the time to think about the artefacts, pore over them, and try to understand how they were made, how they functioned, and how some were modified or re-used. Later will come library time, to research parallels, and eventually the writing up. But now is the time to compare objects, turn them over, hold them in a different light, try joining fragments. I've been working on a series of painted and moulded mud fragments that I think came from a household shrine in house E13.7, while elsewhere in the same room Manuela Lehmann has been examining fragments of the funerary beds (angareeb) found in the cemetery, as Nora Shalaby studies the flint blades and tools. In the adjacent courtyard, the salon – the old house's reception room – is home to Valentina Gasperini analysing pottery, Elisabeth Sawerthal drawing a range of finds, and Shadia Abdu Rabo. 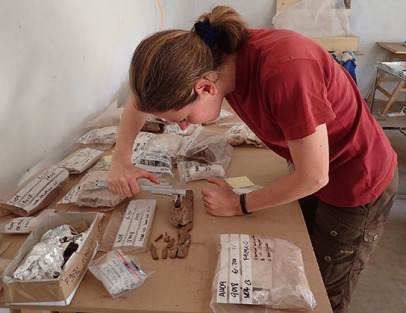 Shadia is combing through the jewellery excavated since 2009. Meanwhile, Elina Rodriguez – familiar with another era of Amara West excavations – is deep in the cool and dark finds storeroom, resolving numbering problems and registering artefacts from last year. Even without excavations, there'll still be discoveries and insights, and we'll post some of our findings in the coming weeks. That is all subject to our internet connection, which is much worse now than in 2009, despite an array of dongles and smartphones that confidently proclaim "3G". Meanwhile, we'll wonder if the traditional four meals a day – including an archaeologists "second breakfast" at 11am – really is a good idea for this studious yet sedentary season. Anleitung zur öffentlichen Datenbank des Projektes „Der Tempel als Kanon der religiösen Literatur Ägyptens"
Herzlich willkommen bei der öffentlichen Beta-Version der Datenbank des Forschungsprojektes der Heidelberger Akademie der Wissenschaften „Der Tempel als Kanon der religiösen Literatur Ägyptens". Am Beginn der Projektarbeit seit August 2010 stand die Erstellung einer umfangreichen Datenbank für die interne Projektarbeit. Ziel dieser Arbeit war es, jeden publizierten Text oder Teiltext der Tempel der griechisch-römischen Zeit in einem individuellen Datensatz zu erfassen. Diese Datensätze enthalten neben Basisinformationen wie Publikationsort, architektonischer Position, Raumbezeichnung, korrespondierenden Texten und ähnlichem auch jeweils einen Tempelplan, einen Raumplan und einen Wandplan, sodass für jeden der ca. 25000 Einträge jeweils drei Pläne vorliegen, denen man die exakte räumliche Verortung des jeweiligen Textes entnehmen kann. Neben diesen Basisinformationen enthalten die Einträge auch inhaltliche Informationen, wie etwaige Ritualszenentitel oder die Zuordnung eines Textes zu einem der 42 Gaue Ägyptens. Dieser umfassende Fundus an Informationen wird hier nun der wissenschaftlichen Gemeinschaft und der interessierten Öffentlichkeit zugänglich gemacht. Zusätzlich zu den bereits vorhandenen Informationen der internen Projektdatenbank, wurden in diese öffentliche Version zwei weitere Hilfsmittel integriert: So finden sich bei jedem Datensatz nun die dazugehörigen Einträge des „Lexikons der ägyptischen Götter und Götterbezeichnungen" und der „Kurzbibliographie zu den übersetzten Tempeltexten der griechisch-römischen Zeit" mit zeilengenauen Angaben, sodass der Benutzer alle relevanten Informationen auf einen Blick verfügbar hat. Bitte beachten Sie, dass es sich bei der jetzigen Version um eine erste Beta-Version handelt, die in Zukunft noch um weitere Funktionen, wie etwa individuelle Nutzeraccounts erweitert werden wird. Auch bitten wir alle im Moment noch enthaltenen Fehler und Unstimmigkeiten zu entschuldigen. Für Anregungen, Fehlermeldungen und Ratschläge aller Art sind wir Ihnen sehr dankbar. Wenden Sie sich hierfür bitte ohne Zögern an Florian Löffler (florian.loeffler@aegyptologie.uni-tuebingen.de). Egypt's Minister of Antiquities Khaled El-Enany will inaugurate Thursday evening the "Egypt, the Cradle of Religions" temporary exhibition at the Egyptian Museum in Tahrir. The exhibition comes as part of the ministry's framework to organise a series of temporary exhibits in an attempt to raise cultural and archaeological awareness. Elham Salah, the head of the Museums Department at the Ministry of Antiquities, said that the exhibition put on show a collection of 57 artefacts that were carefully selected from the Egyptian Museum, the Coptic Museum and the Museum of Islamic Art. 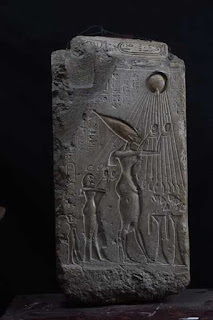 The exhibition aims to shed light on religion in Egypt since ancient times; from the monotheistic era of King Akhenaten to the appearance of Judaism, Christianity and Islam. Among the objects on display are the Terracotta head of the oldest ancient Egyptian deity discovered in Beni Salama, the statue of priest Hotep Di If from the third ancient Egyptian dynasty, a relief of King Akhenaten and his family worshipping the god Aten, and a relief of the goddess Isis and the god Harpocrat from the Greaco-Roman era. 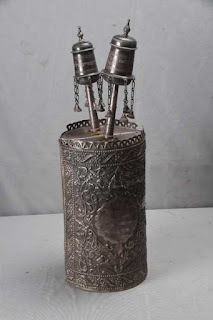 Wooden boxes that were used as holders of the Torah and religious silver pots are also among the objects on display, as well as icons depicting the Virgin Mary and Jesus during their voyage to Egypt, and a copy of the Holy Quran and a silver Islamic-era chandelier decorated with foliage ornaments. Six Islamic-era lamps recently recovered after being stolen from Cairo's Al-Refai Mosque will be on special display within the exhibition, as well as items that were recently seized in Egyptian ports before they could be smuggled abroad. The Ministry of Antiquities' affiliated museums have achieved total revenues of $45m with 974,400 visitors in 2016. According to a statement by the ministry's museums division, the museums achieved the highest revenues in December, recording EGP 6.8m with 117,000 visitors, while the lowest revenue reached was $1.7m in June with 21,800 visitors. 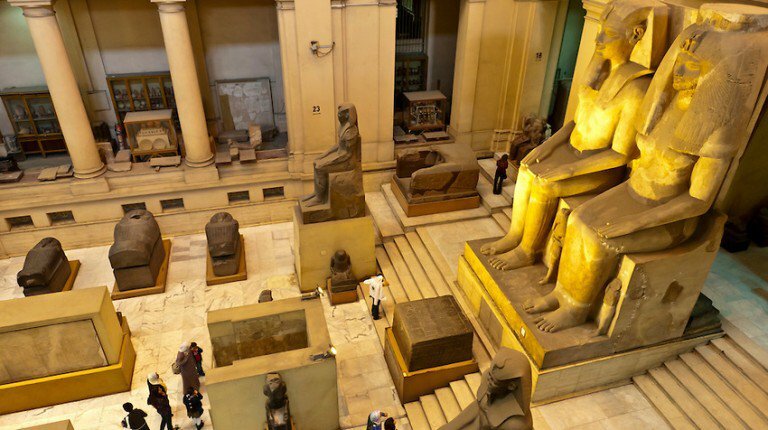 Minister of Antiquities Khaled El-Anany told Daily News Egypt that the number of visits of museums and archaeological sites has increased during the recent months starting from October which coincide with the winter season, when the tourist flow increases in Egypt. The museums' total revenue in January reached EGP 2.8m with 72,400 visitors, compared to EGP 4m in February with 125,000 visitors. The museums' total revenue in March recorded EGP 3.6m with about 111,700 visitors, compared to EGP 3.5m with 68,000 visitors. The revenues declined gradually, to record EGP 2.9m in May with 51,600 visitors, until they dropped to EGP 1.7m in June with 21,800 visitors. The museums' revenues in July were EGP 2.8m with about 84,000 visitors, and EGP 3m in August with 80,000 visitors. The museums' total revenue in September recorded EGP 3m with about 76,000 visitors, compared to EGP 4.2m in October with 70,900 visitors. The revenues jumped in November recording EGP 5.7m with 94,700 visitors, and continued its growth to EGP 6.8m in December with a total of 117,000 visitors. The number of the museums affiliated to the Ministry of Antiquities is 31 across the country, including 21 open-air museums and eight under-development museums, as well as two closed museums. 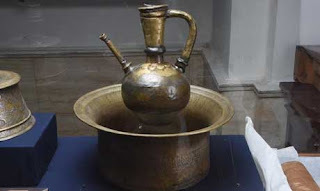 The closed museums are El-Arish and Beni Suef museums, while the ministry is still developing the Greek Roman museum, the Port Said museum, the Ahmed Orabi museum, the Tanta museum, the museum of Tanis, Rommel Cave museum, Mohamed Ali museum in Shubra, and the Royal Vehicles museum in Bulaq. The ministry has opened three museums in the second half of 2016 after finishing their development, including Farouk Corner museum, which was opened in August; Mallawi museum, opened in September; and Kom Oshim museum, opened in November. The official said that travel prices in tourist sleeper trains include $110 for a single room, $80 for a double room, and $40 for a seat for foreigners, while Egyptians will pay EGP 400 for a unified ticket. The price includes dinner and breakfast from Cairo to Aswan and back. 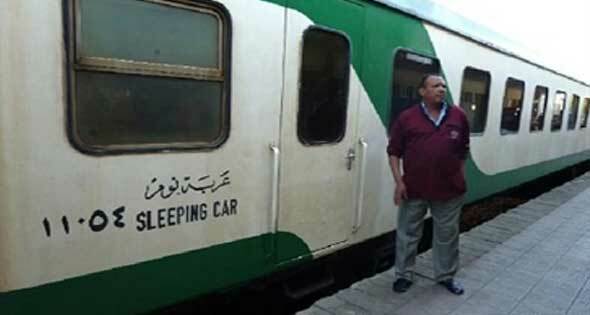 The official added that the company hopes to see an influx of passengers on sleeper trains during the winter. Mohamed Ali, manager at a hotel in Aswan said that tourist occupancy should be increasing as Egyptian families prepare for the school holidays. He expects hotel occupancy to reach 40% in Aswan and 30% in Luxor hotels. Hotel accommodation in Luxor rose slightly by 15-20%, despite the increase in hotels operation costs by more than 40%, as well as price hikes on food and drinks. Ali expects Watania's new service to contribute to price decreases for foreign tourist groups, resulting in an increase in tourism in the region as many tourists go to Luxor and Aswan from Cairo to visit archaeological sites. Tourist traffic to Egypt last year declined to 5.3 million tourists compared to 9.3 million tourists during 2015, a decline of 40%. Minister of Tourism Yehia Rashed had said in previous press statements to Daily News Egypt that Aswan and Luxor are one of the most prominent tourist areas promoted in the current period in various European markets. The ministry of tourism has allocated 25% of tourism promotion to Luxor and Aswan since the beginning of last year to raise the occupancy rates in both cities. Mustafa Waziri, director general of Upper Egypt antiquities in the Ministry of Antiquities, said that launching discounts on sleeper train trips to Luxor or Aswan would encourage domestic tourism traffic and enhance the influx numbers in conjunction with the mid school year holiday . Director of Abu Simbel antiquities at the Ministry of Antiquities Hossam Aboud said that the number of visitors to the archaeological region at the beginning of the week are usually inconsiderable, and increase gradually by the end of each week, exceeding 1,500 arrivals. Aboud expects hotel occupancy rates to increase to 70% in February due to the Sun Festival at Abu Simbel, where tourist occupancy rates in fixed and floating hotels in Aswan exceed 30% from varied nationalities such as American, Japanese, and East Asians. According to previous statements by the Minister of Antiquities Khaled El-Anany, foreign tourism companies inserted visiting Nefertari and Seti l tombs in Luxor in their tourist programmes, after the announcement of the ministry about opening them for visits. The number of Luxor passes sold since November amounts to 500, generating $50,000 in revenues. The Luxor pass allows its holder to visit all archeological sites in Luxor governorate over five days at a value of $100. In addition, the state also offers entry passes to other sites such as the Nefertari and Seti I tombs, which costs $200. Nefertari and Seti I tombs registered revenues worth EGP 1.5m since their opening, receiving 1,579 visitors to the two cemeteries. If you read the first volume of John Romer’s A History of Egypt, which traces events along the Nile from prehistory to the pyramid age, you will understand why he thinks Egyptology is not a science. It is hard, perhaps impossible, to be exact about anything when most of your knowledge is based on deduction and when new discoveries can overturn accepted theories. In the 1,000 years covered in this second volume, starting around 2600 BC, would it be easier for Romer to present facts and express certainty — to be scientific? One of the surprises of the pyramid age, as Romer explains very clearly here, is the lack of information concerning what people believed in and even how they lived. For while the Great Pyramid and its many neighbours from the same era stand as eloquent testimony to the capabilities of the ancient Egyptians, they tell us little about how or why they were constructed. This, in part, explains the appeal of what some Egyptologists call the pyramidiots, people who have suggested that the pyramids were built by spacemen or that their massive stones were sung into place. He starts by dismissing what he considers to be outdated ideas. Egyptology was a product of the Enlightenment, and boosted by Napoleon’s invasion of Egypt in 1798, an expedition more notable for its scholars than its soldiers. The subsequent deciphering of hieroglyphs, announced by Jean François Champollion in 1822, provided enough information, when taken along with the surviving monuments and antiquities, for historians to piece together an account of the Egyptian past. But as Romer points out, they reconstructed Egypt in their own image, assuming that ideas of state, kingship, citizenship, perhaps even God, might be similar to those of the early 19th century. Romer argues convincingly that they were not, that they belong to a pre-rational age that expressed itself not in words but in objects, structures and images. Although Romer resists repeating Herodotus’s cliché, Egypt really was the gift of the Nile and the circle of life that was the Egyptian year was prescribed by the river’s rise each summer, the resultant flood, sowing and harvest, the three seasons. The pyramids were by-products of this cycle, for major state-sponsored projects were only possible when abundant harvests allowed for a surplus. When the Nile entered a cycle of low floods, it brought an end to the major constructions and, eventually, to the Old Kingdom. The Middle Kingdom, beginning around 2000 BC, is often passed over by visitors to Egypt and by general readers in a hurry to get from the Old Kingdom to the New, from the Giza Pyramids to the bling of the Valley of the Kings. 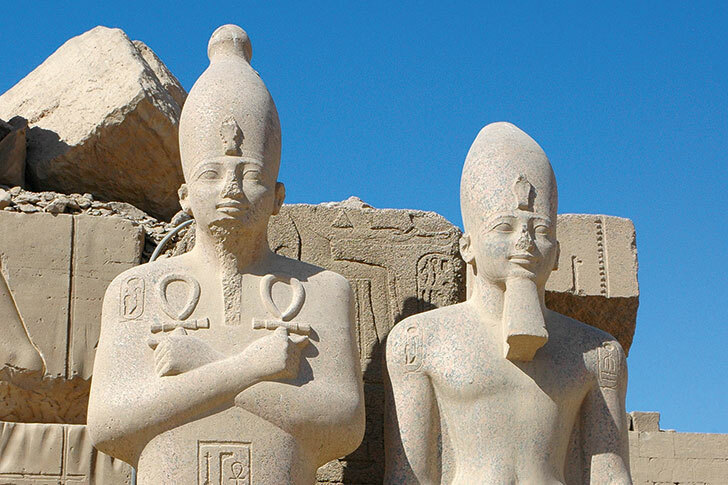 Recent research supports Romer’s view that the 350 years of the Middle Kingdom were one of Egypt’s golden ages. 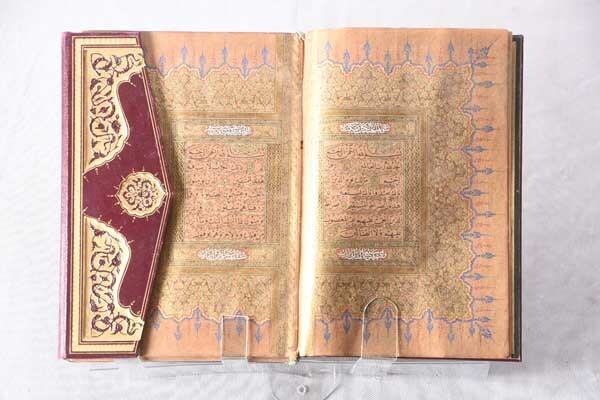 Its artists created what are here described as ‘some of the most moving images that humanity has ever made’ and its scribes left texts that throw more light on this period than on the pyramid age. But in spite of the wealth of textual material, Romer stands by his belief that the Egypt of the pharaohs ‘found its most profound and typical expressions in making and moving things.’ And that statement, which I find convincing, goes some way towards explaining why new discoveries keep on reshaping ideas of the Egyptian past. Romer’s evocative and surprisingly passionate descriptions of the Middle Kingdom, with its glorious court, thriving international trade and bountiful Nile, have a sense of idyll about them. The precise location of the Middle Kingdom capital, a place known as Itj-towy, was unknown until very recently, when it was identified by satellite imaging. That bump in the ground — all that is left of the ancient city — may offer new revelations to contradict some of what has been proposed here. But I doubt that the spirits of anyone who lived in Itj-towy will find cause to object to this magisterial history. 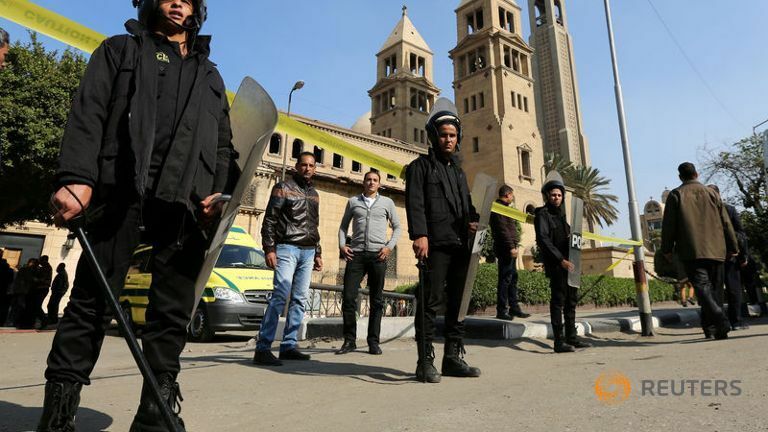 FILE PHOTO: Members of the special police forces stand guard to secure the area around St. Mark's Coptic Orthodox Cathedral after an explosion inside the cathedral in Cairo, Egypt December 11, 2016. CAIRO: "Wanted" was emblazoned across photographs posted online by Islamic State. Files bearing Islamic State logo showed faces of Egyptian military and police officers, alongside names, addresses, and ranks, urging followers to hunt them down and kill them. All the men listed were not domiciled in Sinai, the thinly populated and rugged peninsula bordering Israel and Gaza where the Sunni militant group has been waging an insurgency for more than three years; they were from elsewhere in Egypt. The files were posted on Telegram, an encrypted instant messaging system used by IS to communicate with its followers. Coupled with the group's highest profile attack outside Sinai, the bombing of Cairo's Coptic Christian cathedral in December which killed 28, the online campaign shows that the group has extended operations to the rest of Egypt, a key U.S. ally seen as a bulwark against Islamist militancy in the region. In turning its sights on targets outside Sinai, Islamic State puts more pressure on the government of President Abdel Fattah al-Sisi, presents new challenges for security services and threatens a potentially heavy blow to tourism, a cornerstone of the country's already battered economy. Islamic State claimed responsibility for seven attacks in Cairo last year, after mounting four in 2015. "Islamic State has had Egypt as a target – and not just Sinai – as part of its discourse for quite a while now, and independent security analysts, as well as official statements from the Egyptian state, show that attacks beyond Sinai have increased in the last couple of years," said HA Hellyer, senior non-resident fellow at the Atlantic Council in Washington. Egypt's interior ministry did not respond to requests from Reuters for comment on wider IS operations and how the government was reacting. Hundreds of Egyptian soldiers and police have been killed fighting the Islamist insurgency in Sinai. It has gained pace since mid-2013 when General Sisi, then military chief, ousted President Mohamed Mursi of the Muslim Brotherhood, Egypt's oldest Islamist movement, after mass protests against his rule. Militant group Ansar Bayt al-Maqdis (Supporters of Jerusalem), bolstered by recruits from disenfranchised Bedouin tribes, had been fighting government troops in Sinai since before Mursi's ouster. It pledged allegiance to Islamic State and changed its name to Sinai Province in 2014, the year Sisi was elected president. When the group claimed the cathedral bombing, its statement did not bear Sinai Province's logo. It said "Islamic State Egypt". "When the attacks are claimed by 'Islamic State in Egypt' and not simply 'Sinai Province', it is a clear expression from them that they are not simply going to target Sinai, but the broader country," said Hellyer. Sisi denied lax security was to blame for the cathedral attack. "Do not say it was a security flaw; what happened was an act of desperation," he said. Sisi cracked down on the Brotherhood and other Islamists after Mursi's removal and the dragnet widened to include opposition activists and journalists. Human rights groups estimate at least 40,000 political prisoners were detained. Sisi does not make a distinction between the Brotherhood, which says it is peaceful, and Islamic State. The Brotherhood denies resorting to violent tactics despite the government often linking it to attacks, including the cathedral bombing. Islamic State propaganda regularly portrays the Brotherhood negatively and its statements have called Mursi an apostate. Islamic State strategy in Sinai mirrors its tactics in Syria and Iraq, security analysts say. It fights with a clear command structure using roadside bombs, suicide bombers and snipers. Its mainland Egypt operation, however, is more like its cells in Tunisia or Europe. It relies on small, secretive groups that do not communicate with each other using techniques it publishes online, such as how to make home-made bombs. The cells, or lone operators, then carry out attacks in Islamic State's name and the main group claims responsibility. "These cells live normally amongst the population until it is time to strike. Security agencies foiled some, but Islamic State is now using that strategy in Cairo on a larger scale," said Khaled Okasha, security analyst and former police officer. "Islamic State is not going to stop at Sinai and is betting on its mainland operations in the coming period." As Islamic State loses ground in Syria, Iraq and Libya, it is reasonable to assume their focus will shift towards Egypt, the Arab world's most populous nation, security analysts say. Attacks in Cairo in the last two years included attacks on a tourist bus, a police truck, a security checkpoint, the Italian consulate, a homeland security building and a police chief. The military judiciary is currently trying 292 suspected Islamic State militants, some of whom are accused of plotting to assassinate Sisi. Only 151 are in custody. The military has killed at least 2,000 members of Sinai Province since the group pledged allegiance to Islamic State in November 2014, according to its statements. "Support the jihadis and report the information of apostates around you be they soldiers, agents, conscripts, policemen, officers, bank managers, Christian leaders, atheists, crusaders or Zionists who live among you," Islamic State urged its supporters online. It provides a system by which supporters can send over the required information. The "Tracking Down the Apostates of Egypt" campaign is advertised as an alternative for supporters who cannot join the fight in Sinai. Still, maintaining a strong presence in Sinai appears to be an Islamic State priority, said Stephanie Karra, North Africa analyst at Risk Advisory in London. "The capabilities of IS cells in and around Cairo are in no way comparable to those of IS in the Sinai," she said, adding: "But it's worth keeping in mind that a strategy IS has used in other countries is to mount attacks outside their areas of control to reduce military pressure on the group." Islamic State has made no demands of the Egyptian government, which it aims to topple. It says it fights to install Islamic sharia law and establish a global caliphate to which it wants to add Egypt. The government says the group has tried to assassinate Sisi more than once. Sisi has called Islamist militants an existential threat and has made security a priority for Egypt, a country of more than 90 million people that has a peace treaty with Israel and which receives substantial military aid from Washington. He campaigned in 2014 on a platform largely based on fighting terrorism and often tells Egyptians they were saved from the conflicts besetting Syria, Iraq, and Libya when he ousted Mursi. More attacks would further damage the ailing tourism sector, and a main source of foreign currency in this import-dependent and dollar-strapped country. Egyptian beach resorts, its pyramids and other cultural treasures took a hit after the political instability of the 2011 uprising that ended Hosni Mubarak's 30-year rule. It was then dealt a big blow in October 2015 when a Russian passenger plane was blown up over Sinai, killing all 224 people on board. Islamic State claimed responsibility. British flights to the Red Sea resort of Sharm al-Sheikh from where the plane took off were suspended, as were direct flights from Russia to the whole of Egypt. Officials say they are close to restoring flights, but intensification of Islamic State's campaign in Cairo and elsewhere would create further obstacles to any recovery in tourism.